5 Steps To Take To Reach Your Goals - Tips and tools that add value to your world. To give you balance and to make you feel good. You can use these in life, business or both. It’s January and with that, most people are setting goals and resolutions with the hopes of achieving them. I am doing this too. I mean, who doesn’t want a better life, right!?! So, with some pretty BIG goals set for this year and a strong desire to accomplish them, I did a little research on how successful people lived and achieved their goals and this is what I learned. Be clear: write out exactly what you want and what steps are needed to achieve said goal. Take action: things don’t have to be perfect to start and often you’ll learn best by doing, even if it’s baby steps. It’s okay if it doesn’t go as planned: have a clear understanding of the time and commitment it is going to take to accomplish something and focus on the long–term. Track your progress: focus on your daily steps to help you reach goal and track your progress to help keep you motivated. Be consistent: Just like learning cursive when we were kids, you have to practice each day. Consistency is key. Arriving at my goal weight would allow me the flexibility and the freedom to feel better. Having already lost 20 pounds, I feel more confident, have more energy experience less pain and am shopping in smaller sizes. I know that by continuing on this journey and arriving at a healthy weight would make life even better for me. To achieve this goal, I’ll need to workout 5 days per week minimally for 30 minutes each day. For my nutrition, I’ll be using a plan that focuses on proper portions and macronutrients. In addition, I’ll be checking in with my accountability group for support and encouragement. If I miss a workout or end up going off plan, I will give myself grace. This is not a quick fix but a lifestyle change. To track my progress, I’ll be using an app on my phone which records my activities so I can go back and review as necessary. As you can see, this is how I’ll be working this year to accomplish this one goal. For the other goals I have, I’ve written out something similar. This really works with anything that you want to accomplish. 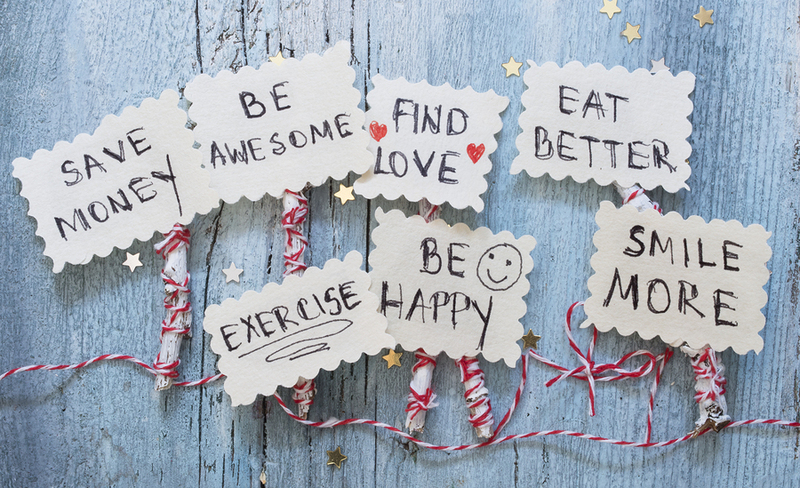 What’s one of your goals for the New Year? What action steps will you take to reach them? Our community is full of people working towards better lives. We would love to hear from you.